The average bust size in the United States is now a 36C, a jump from 34B just 15 years ago. Large breasts can create a weight imbalance that affects spinal alignment and posture to the point where more back and neck pain is experienced. Though breast reduction surgery is becoming an increasingly popular solution, board-certified spine surgeons believe there are some other remedies worth considering. 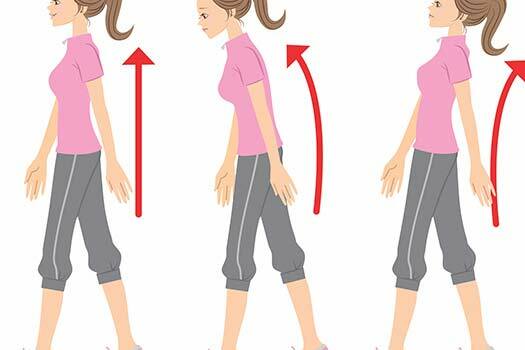 Slouching forward only throws off your posture even more. Make a conscious effort to pull yours shoulders back and keep your chest up with your head over your shoulders. It will eventually become a habit. Create a slight arch by placing a small cushion in the middle of your spine as you rest on your back. Raise your arms above your head and hold the position for about 5 to 10 minutes. Add difficulty later by using a larger cushion. Some men are also having similar issues because obesity continues to be a growing epidemic regardless of gender. If you’re living with chronic spine pain partly because of weight or bust size issues, see what spine specialists in Los Angeles have to say. To learn about the many possible solutions for alleviating your pain, reach out to the spinal surgeons at The Spine Institute Center for Spinal Restoration. We specialize in minimally invasive surgeries and various back fusion alternatives. Call 310-828-7757 to speak with one of our representatives and schedule an in-person evaluation.